Elephant Village and Elephant Show Pattaya Day Tour in Thailand. Book Online. The elephant round-up at the Elephant Village is literally a large gathering of herds of elephants. 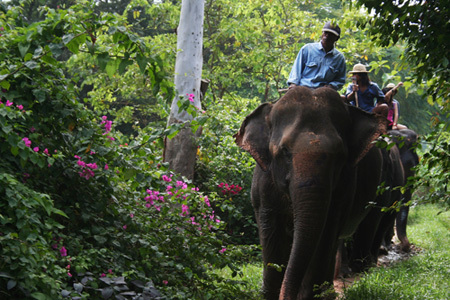 These gigantic beasts have long been the backbone of heavy work in the jungles of Thailand. 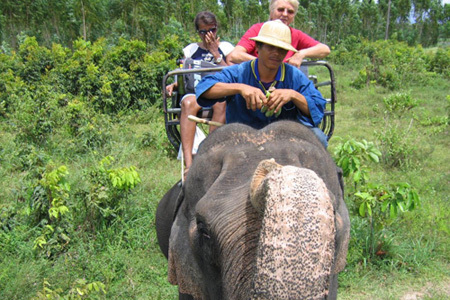 The thrilling events include spectacular demonstrations of elephant capture, the daily life of elephants and their masters, elephants being trained, worked and fed, elephant riding and an ancient war, elephant dressed for your photograph. Priced at 800 Baht per person. Includes transport, entrance fee and fresh fruits in the end.